Maxwell McGrath is just your average 16-year-old boy…until he starts experiencing uncontrollable Turbo Energy! 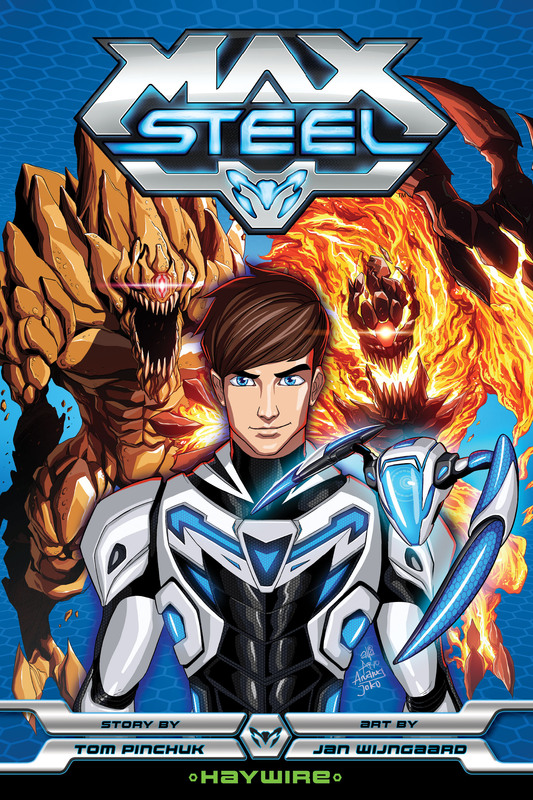 To control this superpower, he must merge with a know-it-all alien ultralink named Steel. Together this unlikely duo will battle to save the earth as the ultimate turbocharged superhero-MAX STEEL! A shadowy new villain drops upon the earth a super virus that takes down all technology and throws the world into communications chaos. Max will have to turn to the most unlikely expert agent on old tech to get the world back online...his mom! Plus, the origin of the Elementors!